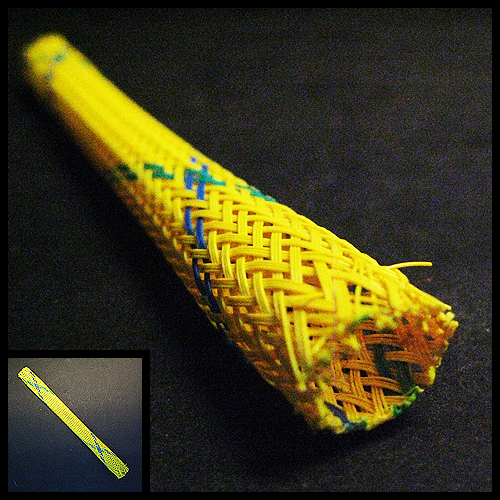 Tightly-woven strands of super-stiff nylon thread only look like a Chinese finger trap. In fact, here if you crush this end-to-end, try it compresses, grows fat with potential kinetic energy that – when you suddenly release your fingers – shoots the thing 10 feet across the room. The simplest toys are the best.